Added on December 2, 2013 by Adrian and Shane. 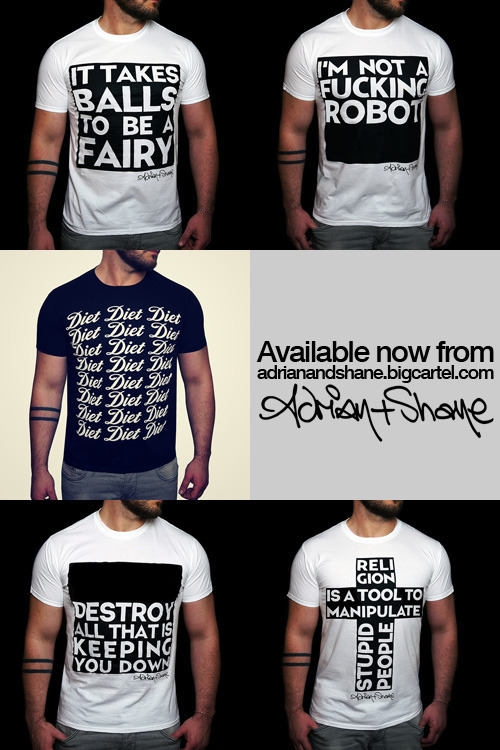 We're delighted to announce a brand new range of Adrian+Shane T-shirts. And they're better than ever. This time they're screen-printed.